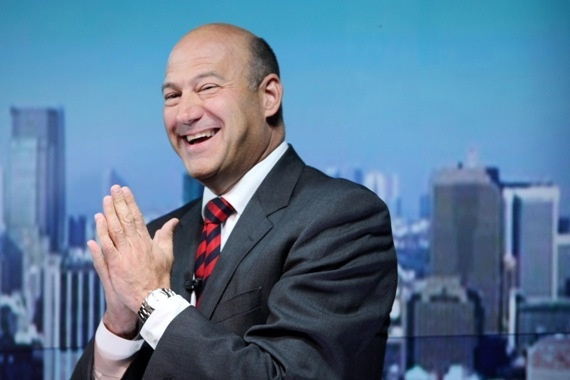 Axios is reporting that former Goldman Sachs CEO Gary Cohn is being considered by President Trump, along with David Urban, a Republican lobbyist, to replace Reince Prebius as chief of staff. Cohn, who'd love the job as chief, is nonetheless rightly wary of that particular promotion, and instead is keeping his eye on an even grander prize. Friends say that after his current gig, Cohn would love to be named ... chair of the Federal Reserve. Yellen's term as Fed chair ends at the end January of 2018. There is no doubt that with the mid-term elections to think about in 2018, Trump is going to want someone that will keep interest rates relatively low. Cohn fits that bill. And Trump's administration has had a distinct crony Wall Street/Goldman Sachs scent to it.